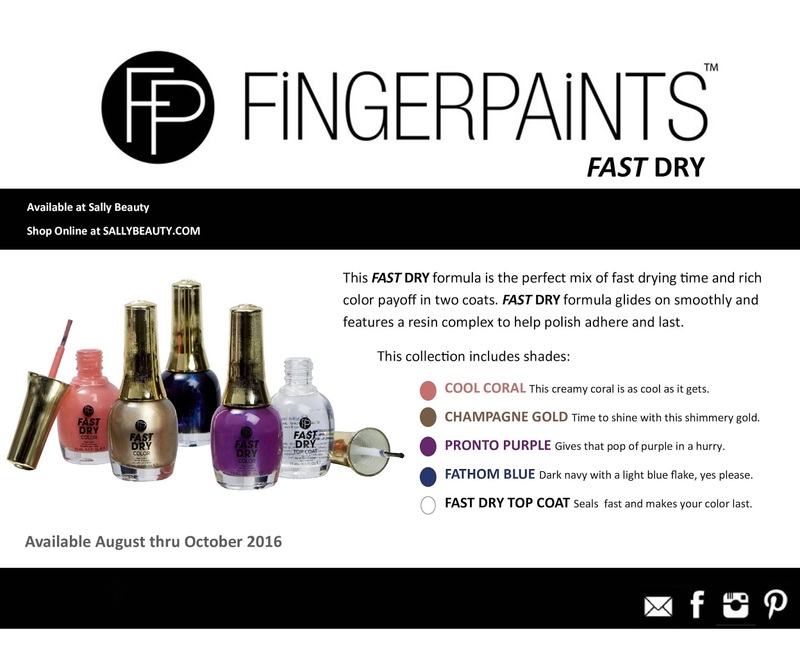 i wanted to come back and share with you guys this piping hot press release from FingerPaints on their new Fast Dry collection! it's coming out in August and man, i think it's genius. 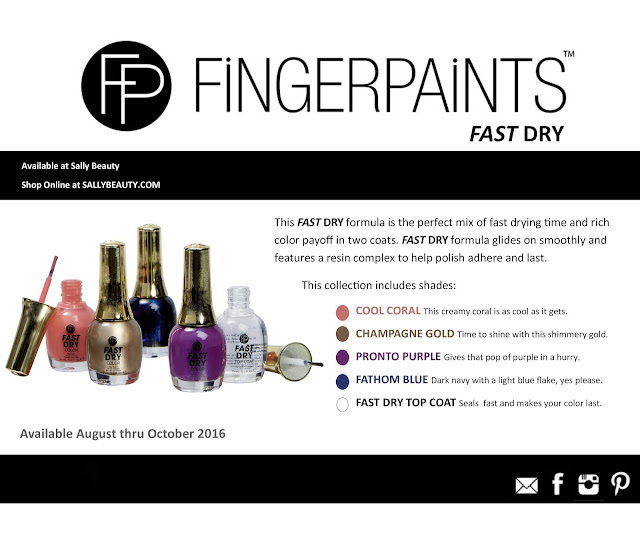 as someone who perpetually struggles with getting their polish to dry, nail polishes that are designed to dry fast?! FABULOUS! hope you all enjoy this peek at what's coming up from FingerPaints, and check back soon... i have loads of beautiful products to share that are already photographed and thoroughly tested. i just need to get myself together and get back in the blogging rhythm!